Jory Kinjo brings a unique history to his music and draws from his experiences playing and performing Soul, Ska, Reggae and Rhythm & Blues all over the world. Kinjo grew up in Calgary, AB. playing old-school soul music with long-standing soul band, Mocking Shadows. In 1999, he joined the band and warmed the stage for Canadian 3 tours with the B.B. King and other artists such as ZZ Top and Buddy Guy. In 2007, Kinjo toured Europe playing bass for Montreal’s third-wave ska kings, the Planet Smashers. The Smashers toured with punk legends Bad Religion and headlined other European festivals. This experience ignited a love for ska & reggae and inspired a new direction in his music. Kinjo formed “JK & the Relays” in 2009 and has toured such acts as Fishbone (LA) and the English Beat (UK). JK & the Relays were breakout performers at the 2012 Montreal Ska Festival and the 2013 Victoria Ska Festival. In 2009, Kinjo also formed Kiai Music Inc. as an umbrella under which to operate. 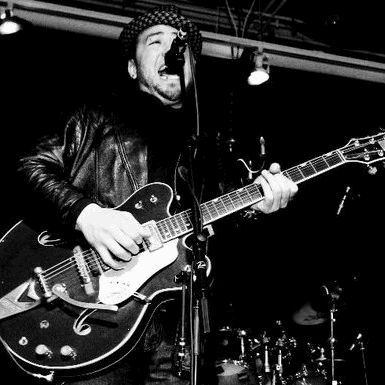 Kiai Music produced 3 tours for artists such as the Slackers (NYC), the Aggrolites (LA) and Chris Murray (LA), bringing some these bands to Alberta for the first time. Kiai Music produced many local shows and showcases for developing Calgary and Edmonton artists. In 2010 Kinjo formed a project with his brothers, Kaley Kinjo, Tashi Kinjo and Shaw Kinjo. The Kinjo Bros. were invited to perform in Okinawa, Japan at the Naha Matsuri Festival which was broadcast live on TV and Radio in southern Japan. The Bros. have since performed in Japan many times, Jory recently returned from Okinawa in the fall 2016 from a Kinjo Bros. performance at the World Uchinanchu Taikai festival. Kinjo has appeared with a wide array of artists from UB40 to South African jazz legend Hugh Masekela. Most recent shows of note would be with Ziggy Marley on his Canadian tours in both 2014 and 2016.